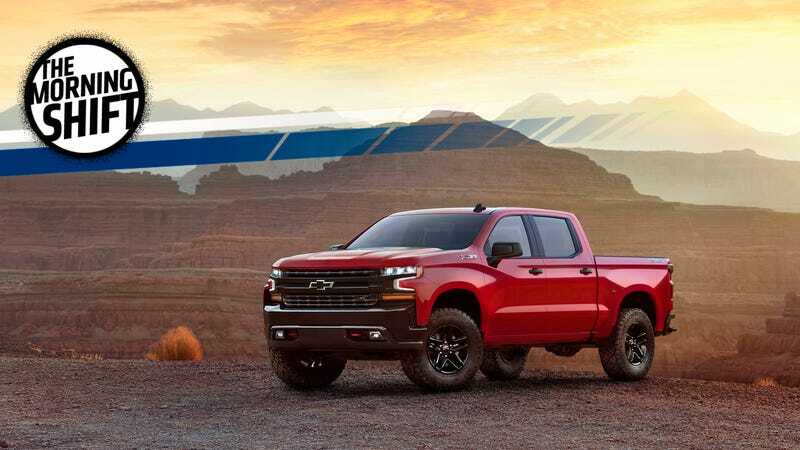 Deliveries of Fiat Chrysler’s Ram pickup and GM’s Chevrolet Silverado and GMC Sierra trucks each fell by at least 15 percent in February. While the industry-leading F-Series line bucked the trend with a small increase, Ford Motor Co.’s total sales still missed estimates. It was, in fact, the worst month since Hurricane Harvey. Tepid demand for models that consistently rank among the top-sellers in the U.S. market was a major contributor to total U.S. vehicle deliveries decelerating last month to the slowest pace since Hurricane Harvey ravaged dealerships across the Texas Gulf Coast in August. It’s not all bad, though, since while sales have dropped, that’s mostly because sales in recent months have been so good. The automakers are also all still hugely profitable. Pour one out for hugely profitable multinational corporations. That’s because of Trump’s tax cuts, which will make the wealthy wealthier. The wealthy buy luxury cars, of course, meaning that the luxury brands don’t expect to take much of a sales hit this year, unlike the mass-market brands, who are all taking a hit. The four biggest high-end manufacturers in the U.S. all reported gains in February, led by a 12 percent jump for Volkswagen AG’s Audi. Daimler AG-owned Mercedes-Benz continued to lead all premium brands in total sales. Yes, it’s good to be rich. It’s all thanks to the Crosstrek, which helped Subaru to a 75th straight month (!) of year-over-year sales increases. That’s 30 percent of its South Korea workforce. Production, though, will remain at current levels. GM is trying to pressure the South Korean government into a $2.8 billion deal that includes taxpayer money to restructure its Korea operations. GM has been changing up its efforts abroad lately, as it seeks to shutter unprofitable parts of its businesses. Trump said yesterday that he was planning to impose a 25 percent tariff on imported steel and a 10 percent tariff on imported aluminum. That idea has gotten a lot of people very angry, and also led to big declines on the stock market. A few other things it has complicated? The Trump administration’s efforts to renegotiate NAFTA. Oh, and also Canada’s mad. Negotiators trying to rework the NAFTA trade deal on Thursday were hit by the prospect of conflict over U.S. steel tariffs that could complicate carmaking in North America, one of the most sensitive issues at the talks. Officials were unable to say immediately whether the tariffs would include imports from Canada and Mexico, the other two partners in the 24-year-old North American Free Trade Agreement. The lack of clarity created uncertainty as some countries might be exempt or taxed at a lower rate, analysts said. Automakers and other users of the metals are also worried about retaliatory tariffs that might affect their finished products. Canada would be among the countries hit the hardest should the tariffs go through, which has officials there very angry. Canada is one of the biggest exporters of steel and aluminum to the U.S. So, we might have a trade war on our hands pretty soon. It’s great living in the 18th century. Neutral: When Would You Buy A New Truck Over A Lightly-Used Truck? I guess this is an evergreen question.